He came from humble roots, but his courage and vision created a peaceful revolution which shook the globe. Martin Luther King was gunned down by a racist assassin, but not before he opened the world’s eyes to black people’s right to be equal and free. 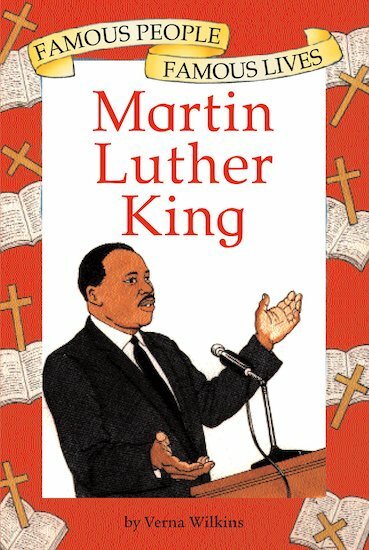 Martin Luther King’s life and legacy are vividly detailed in simple text and illustrations in this book, from his early beginnings in America’s Deep South to his work as a leading civil rights campaigner in the 1960s. The story of his rise to fame is also the story of black emancipation, showing the depth of racial divisions in the recent past, but also the huge progressive changes brought about by Dr King and the global Civil Rights Movement.